A Scarlet Macaw parrot became the mascot for a line of children’s shoes known as Poll Parrot Shoes for boys and girls. 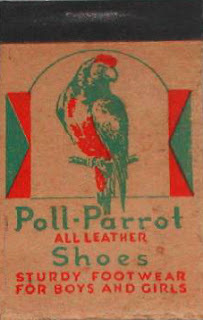 The creator Paul Parrot once had a live parrot in the original shoe store in the 1920's, much to the delight of his young customers. 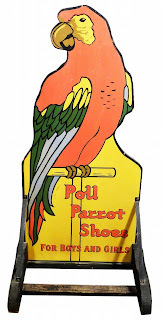 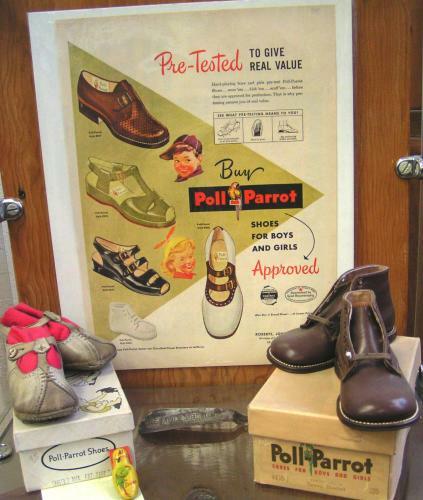 In 1922, Paul Parrot sold his shoe business "Poll Parrot Shoes" to the International Shoe Company, which was already selling Red Goose and Weatherbird shoes. 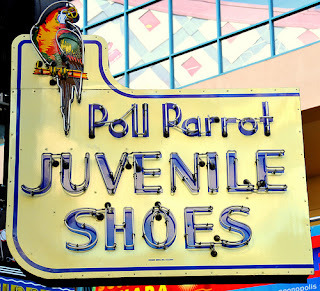 The shoes were designed for children and so sponsoring a children's radio show seemed like a good idea. 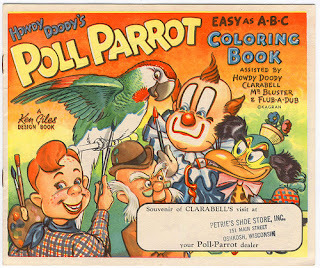 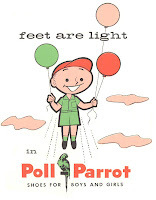 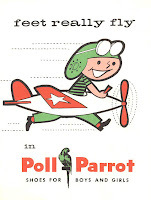 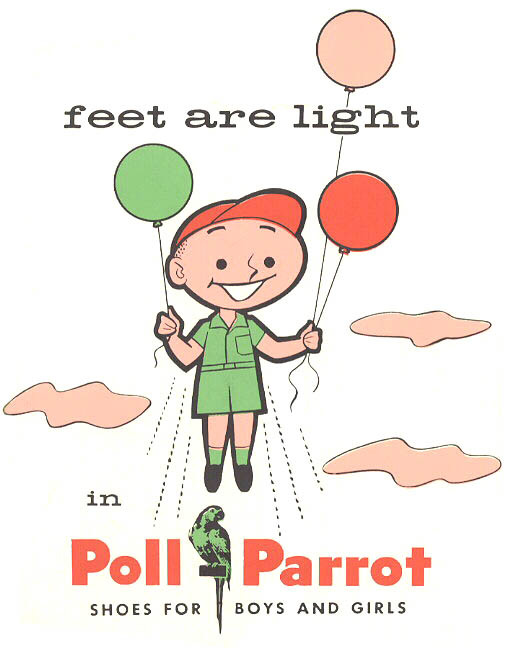 In 1937, they launched a syndicated children's serial named "Cruise of the Poll Parrot". 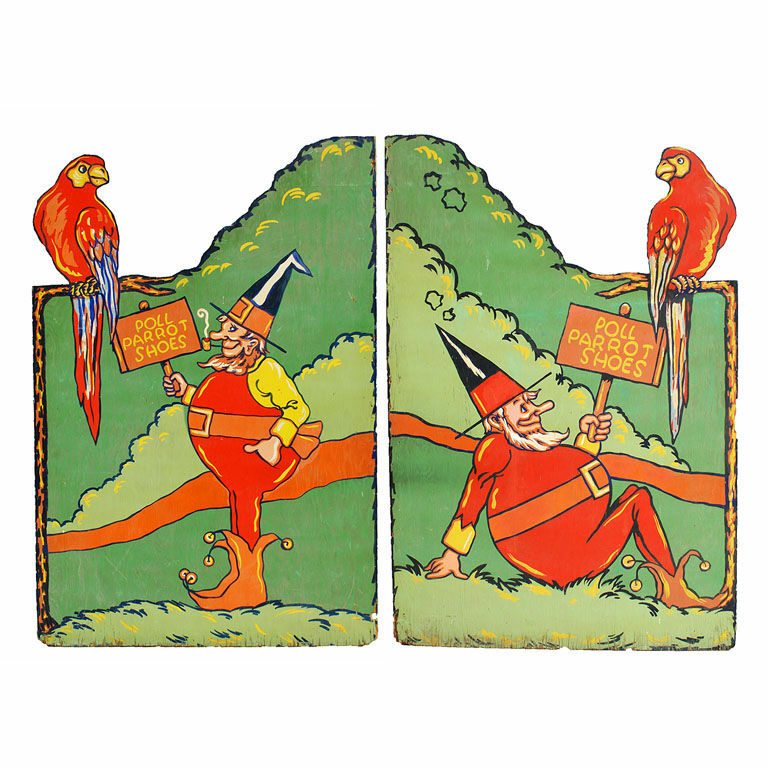 The show was sold in thirteen segment blocks, and three complete blocks exist today. 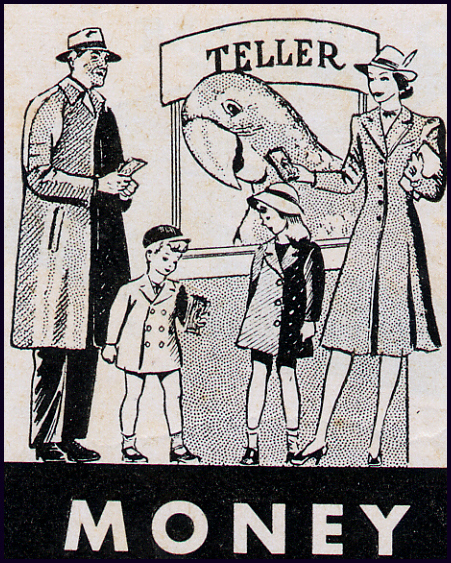 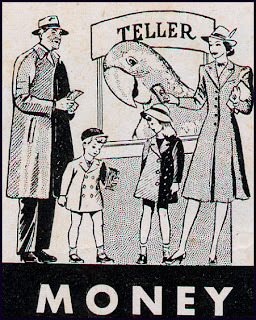 The shows exponentially boosted shoe sales, helping International compete against the leader in children's shoes: Buster Brown. These double sided vibrantly painted wood panels depict two life sized happy gnomes and the Poll Parrot mascot, the Scarlet Macaw. 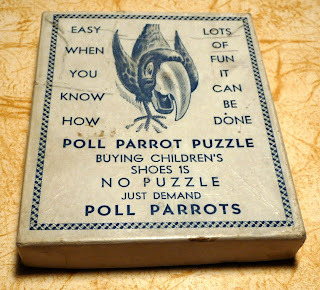 The reverse features the parrots and a storybook cottage.